Shipping brokers in Tokyo say that Morgan Stanley has joined a growing international scramble to secure an oil supertanker and use it to store millions of barrels of crude. 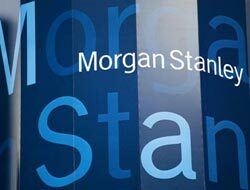 Shipping brokers in Tokyo say that Morgan Stanley has joined a growing international scramble to secure an oil supertanker and use it to store millions of barrels of crude in what commodity dealers believe may be the ?trade of the year?. The rush to snap up supertankers and profit from the huge ?contango? spreads between the falling crude spot price and rising futures price comes amid dire warnings by analysts over the future of the wider shipping industry. Massive overcapacity and slumping global trade are expected to trigger a second collapse in cargo rates, which already plunged nearly 94 per cent last year. Exports from China, Taiwan, South Korea and Japan are falling fast and are expected to drop farther at a pace not seen since the early 1980s. 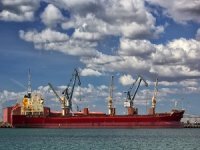 Sources throughout the Asian shipping sector say that, despite a recent rally in container and dry bulk rates, dozens of companies could go bust this year. A spokesman for Nippon Yusen, the largest Japanese shipping line, predicted prolonged difficulties for cargo rates as the global economy falters. But the efforts to play the so-called contango trade have unexpectedly raised tanker hire rates to about $75,000 a day. 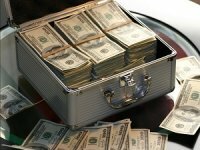 Rough calculations by shipping brokers suggest that if a trader were to buy two million barrels of crude at today"s prices, insure them and store them for a month in the largest grade of supertanker at present charter rates, the buyer would be paying about $1.15 a barrel on top of today"s spot price of $35.50. The crude futures price at the end of March stands about $8 higher than today"s spot price, and six months out the spread is more than $21 a barrel. 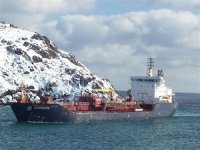 Shipping brokers in Tokyo told The Times that Morgan Stanley was ?engaged in a serious bid for a supertanker?, but that it had not yet found the appropriate vessel at rates it was prepared to pay. The same brokers said that, in addition to the commodities trading arm of Citigroup, at least two other Wall Street names had recently expressed interest in procuring a supertanker for use throughout the year as a giant floating oil container. 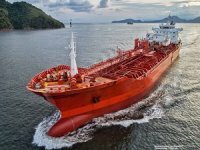 Oil traders and companies such as BP and Shell have begun snapping up more tanker capacity but, brokers said, the mathematical attractiveness of the trade is drawing interest from investors outside the industry. Knockdown ship charter rates, along with the plunging global economic outlook, are responsible for the sudden interest in crude oil storage: Frontline, which owns the world"s largest fleet of supertankers, said yesterday that about 80 million barrels of crude are sitting in storage in the hulls of ships around the world. 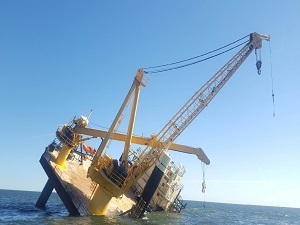 Sources at one of the largest shipbuilding companies in Asia said that they were also starting to receive inquiries about ship conversions - turning unused bulk carriers into oil storage vessels - as more investors are drawn to playing the oil price contango. 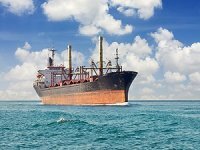 A report published today by HSBC predicts an outright collapse of liner rates in 2009, and warns that operators will be forced to slash costs further merely to stay in business. Demand growth for container shipping, Azura Shahrim, of HSBC, said, could sink to zero over the course of the year amid a meltdown of global trade. 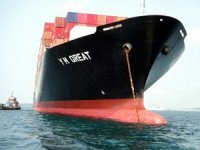 A significant pressure on rates is the vast size of the global fleet - about 4,700 container ships and an order book for new vessels that would add about half as much capacity again over the next few years. The five-stage payment structure of shipbuilding means that ships ordered for delivery between now and 2011 are unlikely to be cancelled and the relative youth of the fleet, of which just under half is less than ten years old, means that a sudden increase in scrapping is also improbable. The renewed warnings of a big drop in shipping rates coincide with grim warnings from analysts over China"s immediate economic prospects. Ben Simpfendorfer, China economist for Royal Bank of Scotland, said that the risks of a big decline in exports was growing and that the relatively small 2.8 per cent year-on-year drop last month ?will shortly be overwhelmed by the sudden pullback in global demand?.